One thing I miss the most about Nashville as I’m on a sorta lengthy vacation is sand volleyball. 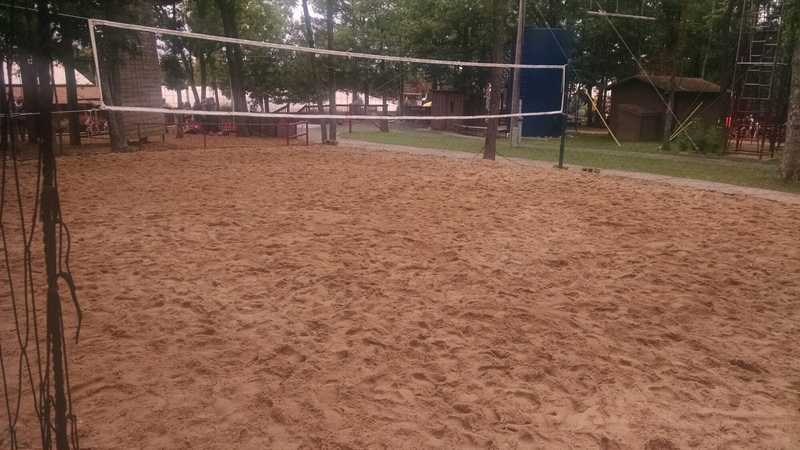 My brother and I are in Missouri volunteering at a sports camp so you’d think there would be a chance to play some while we’re here…heck, there’s even a sand volleyball court! So I start the week with high hopes. But at the same time, around here sand vball seems to be treated more as a ladies sport, and because I’m a random old dude, I won’t play unless other guys do. Unfortunately, the bros here play basketball during their free time. That is…..UNTIL YESTERDAY! I saw a co-ed vball game going on and ditched my brother to get some sand between my toes. Now you gotta know I’m not good at sand volleyball, maybe slightly above average. But my level of competitiveness and desire to win is entirely too high. I’ll kick a niece in the shin to get ahead. What can I say, that “be like Mike” commercial went straight from TV to my eyes to my brain to my heart to my soul to my life to my evil determination to rule the world. Watch out LeBron! Watch out Kerri Walsh Jennings! Wow, went off on a little tangent there. OK, back to volleyball. I hopped on the court and played socially for the first few points. But there were good players on the court. I channeled my inner Brandon Sommers attempting an entertaining/encouraging play by play commentary as we hit back and forth. Brandon’s the master, but I tried. Meanwhile, I’m also determined not make a fool of myself by trying too hard amongst these middle/high school/counselor folk. It was so fun! A great reminder of the fun I have in Nashville playing sand volleyball. Plus the net is low so I did take the opportunity to spike one on a high school guy. Call it a learning opportunity for him. Sorry, I couldn’t resist. I bet karma will pay back once I’m back in Nashville. But for that one moment in time, I was April Ross. I was the wind beneath your wings. I was the future of American volleyball. I was the lion king. I was like Mike. Except in volleyball. But also not at all as good as Mike. This entry was posted in Society and tagged camp, Nashville, sand volleyball, summer camp, volleyball by Ben Wilder. Bookmark the permalink.